See the new capabilities in SSMS that earned multi-server management a spot on our list of the top changes for SQL Server 2008 R2. True, SQL Server Management Studio could always be used to manage multiple servers – just not from a single interface. Not anymore. 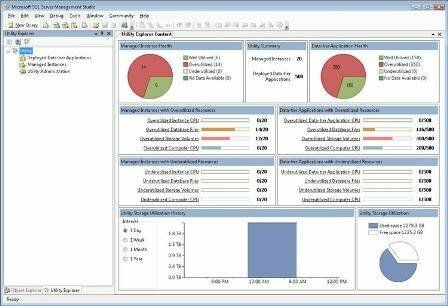 SQL Server 2008 R2 features new SSMS dashboards for observing information on more than one server from the same screen by utilizing the new SQL Server Utility. This new capability is the progression of SQL Server 2008's Data Collector where, once set up, DBAs can monitor resource utilization across their environments with a single glance.